Payroll can quickly become a burden for business owners, that's why Denegri & Associates offers a comprehensive list of payroll services to small businesses in the Sonoma County area. We can develop a package that fits all of your business payroll needs. There are several reasons why outsourced payroll services are preferred by small businesses, most notably the savings of time and money. By choosing Denegri & Associates as your payroll services company, you'll gain back the time you spend on processing payroll and eliminate the need to hire an in-house employee to handle payroll. 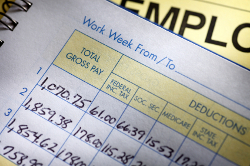 Want to learn more about our Sonoma County payroll services? Call Denegri & Associates at (707) 546-1484 to schedule your free initial consultation.